The Medi Mediven Active Class 1 Black Compression Socks for Men come from Medi, one of the UK's leading providers of compression garments. The Medi Mediven Active Class 1 Black Socks for Men are robust, hardwearing and super durable for active feet. Barely recognisable as a compression garment, the Medi Mediven Active Class 1 Black Socks for Men have a fine ribbed look and several practical features. Clima Comfort: Reduces perspiration and prevents the skin from drying out. The patented knit ensures rapid moisture transportation. This allows temperature moderation throughout the garment. Can be washed at 40 degrees, not suitable for ironing, detergents or dry cleaning. 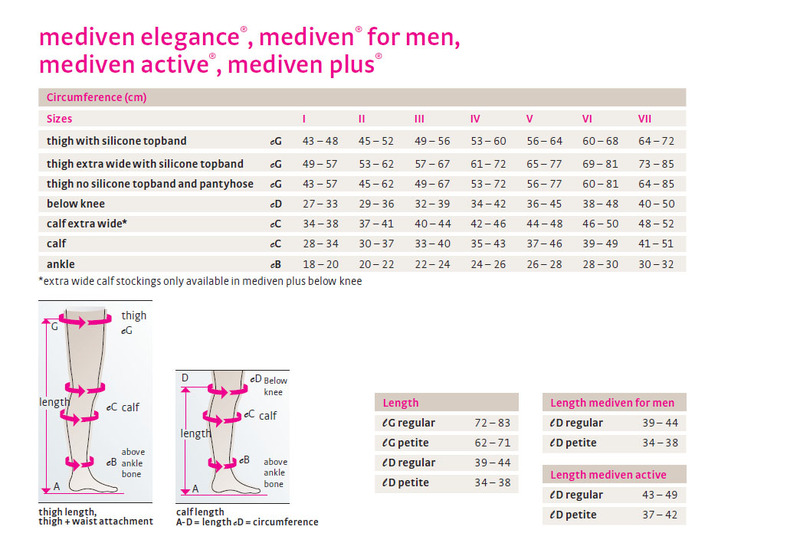 Medi Mediven Active Class 1 Black Below Knee Compression Socks for Men are non-returnable and non-refundable on grounds of hygiene.